So, I have to take a minute to blog about the Oscars because 1) Count Me healthy bracelets were featured in the official Oscar baskets last year (Yay, it was amazing) and 2) It’s the most fabulous of all Hollywood events! There is no better excuse to throw a get together with girlfriends to dress up and try really flashy cocktails that you would never go out and even attempt to order in public! 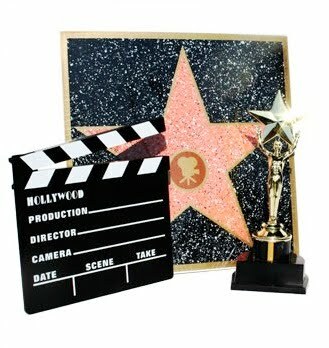 I’ve been reading up on Oscar parties and sorry to say, I just don’t feel like sending out the invitations that look like movie director clapboards or giving out Golden Boy statutes (there is such a thing as prop overkill). Sometimes I think themed parties go just a little too far, like wearing a sequins blazer AND skirt. 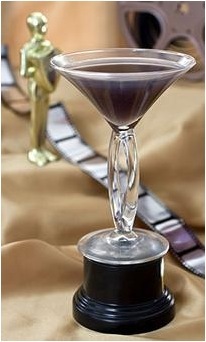 So, if I was going to throw an Academy Awards Soiree, this is how I would do it. And, I just might. So all of the girls who read this and see me on a regular basis, I am divulging all of the surprises that may be awaiting you. VIP passes, of course. Since this is last minute, it will be an “E-VIP” pass. Please note, I am all about beautiful paper invitations but time is of the essence. It is a “Cas (as in Casual) Oscar Gathering.” This is a twist to try. Friends can dress in their favorite denim, casual tops, but wear the biggest, funkiest earrings, cocktail rings, tiaras, and necklaces you can find. If you want to take it a step further, try an updo to accentuate your massive CZ earrings. 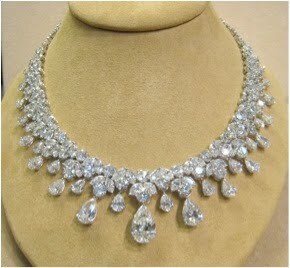 If you wear the real thing, I have my gun license and would not only act as hostess but also as your bodyguard. Top it off by wearing satin evening shoes that we can all Ooooh and Aaaahhh over. So fun! Everyone will have to arrive early to watch the pre-Academy Award show on the E! Network for the Red Carpet arrivals. The hits, the misses, and the “Trash Your Sylists.” I would hand out a form to each friend with the Award categories and contenders and before the Oscars start everyone would need to turn in their picks (in pen, no erasing!) It would be like Super Bowl betting, only better. Then, when it was over we’d tally up who had the most correct answers and the winner would get a fun prize. Okay, the gold statuette as a prize would be appropriate here I guess. I’m normally a vodka soda with lime (or red wine) gal, but signature events call for signature cocktails! For a minute I tried to be all creative and “channel” appetizers based on the nominees. Then I realized that I would probably just make or buy what I like and what I think my guests would enjoy! These made my mouth water, plus they are (somewhat) healthy. 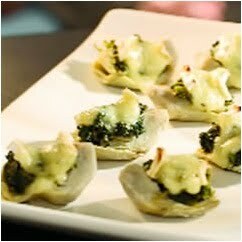 Plus, they are a pretty twist on the classic spinach and artichoke dip, so people will think you are uber-creative. Creamy brie is the topper, but parmesan would also work for a lighter version. These are for the hostess who is Oscar glam but short on time. 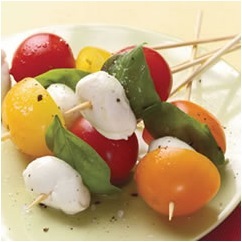 Skewering mozzarella balls and cherry tomatoes makes them easy to nosh at a party. So, since we’re only having apps, it’s good to serve something hearty for those who like a little more than the fruit and veggie scene. These bake in the oven which makes for fuss-free cooking and quick clean-up. – To make the meatballs: Heat the oven to 400. 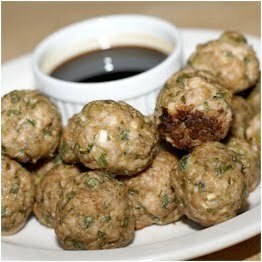 – Gently mix together the ingredients (hands are best for this), then form meatballs by rolling tablespoon-sized scoops between your palms. – Arrange on a lightly oiled or parchment lined cookie sheet and bake for 20-25 minutes, until well-browned and cooked through. Serve with toothpicks for dipping. n a small pot, stir all the ingredients together over medium-low heat until the sugar dissolves. – Simmer 3 or so minutes, stirring frequently, until the sauce thickens a bit. – Fish out the ginger and serve in small cups for dipping. Are you throwing an Oscar soiree? If so, what are you serving? May the stars align for you and as always… keep counting! LOVE it chelsea! you have to do it now since it's all planned out! So funny you found those Tomato-Basil Skewers on the disney site – we did those as an appetizer for a Christmas party – so easy and so yummy! Plus I liked the red, green and white colors for Christmas. I called them bite-sized caprese salads.